The FI-P4X8 is a self-contained, fully programmable, Digital Loudspeaker Management System capable of handling full control of loudspeaker system. 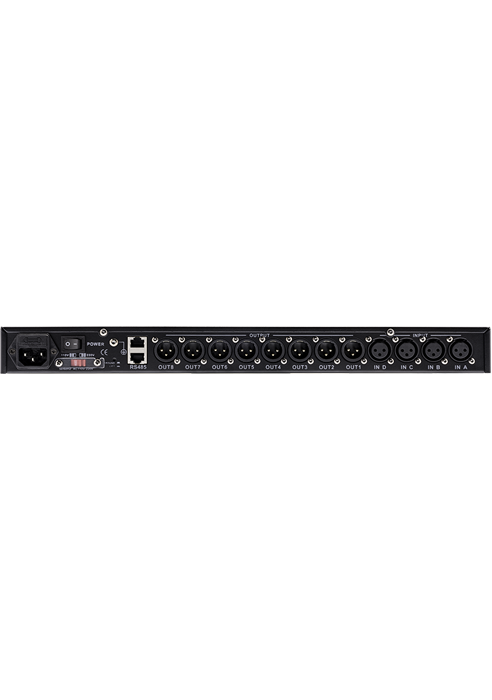 The four inputs and eight outputs can be routed in multiple configurations to meet any system requirement. 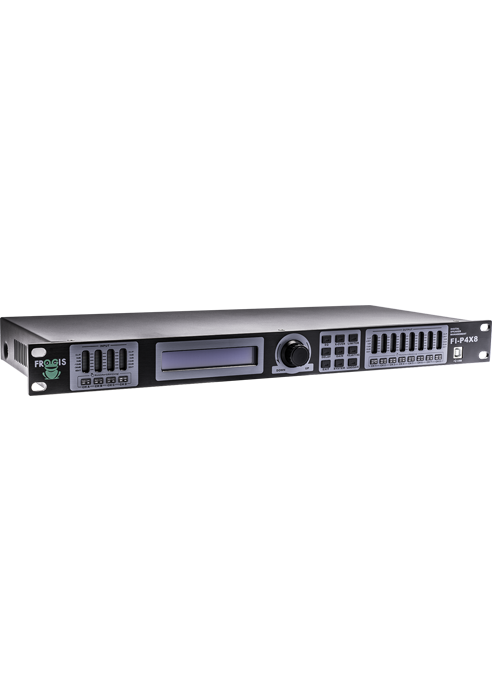 Full system setup and configuration can be done in real time from the front panel or with the intuitive PC based graphic user interface software via the on-board RS485 and USB ports. Crossover Each output channel can be independently set as LPF or HPF. These parameters can be adjusted. Limiter Limiter present for each output channel. These parameters are adjustable: Threshold value:-40dbu-+20dbu; step: 0.5dbu. Output EQ Each output channel has a 6-band EQ: 3 modes: Lo-shelf/Hi-shelf/parameter.